The MINI Hardtop invoice price and the true dealer cost are not the same. 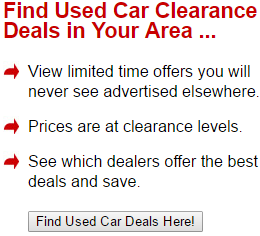 Note: The MINI Hardtop pricing report below does not include rebates or incentives. View Rebates and Incentives. To own a MINI is to own a car of passion. They're a quirky car, and they tend to be pricey compared to the rest of the segment. But those who commit to owning one love the traits that the British automaker delivers: iconic styling, deep customization options, and a sporty driving dynamic on the road. Now that it comes with a pair of extra doors, does the 2019 MINI Hardtop 4 Door still have what it takes? It still has the same excellent performance, of course. Like with the coupe version, the 2019 MINI Hardtop 4 Door comes with either a three-cylinder engine, good for 134 horses, or a four-cylinder engine, good for 189 horses. They're not the most exciting looking numbers, but the MINI is small enough to take advantage of that energy for good acceleration. You'll get all the agility you expect from a MINI, too. The most significant difference comes in the rear seats. On the coupe, there's barely enough room for luggage and emergencies. With the four-door Hardtop, you have real legroom for the backseat passengers. Folding these seats down nets you 40.7 cubes of volume. That's huge for a MINI. Having those extra two doors lengthens the Cooper slightly, but it's a more stable ride on the highway compared to the 2 Door. So is the 2019 MINI Hardtop 4 Door worth it? It certainly seems so -- and now you'll have more room for your consideration. MINI introduced the third generation of Hardtop for the 2014 production year. This year, the 4 Door has a reorganized trim structure with the Classic, Signature, and Iconic. Also, Apple CarPlay becomes available through an updated infotainment interface. A subcompact hatchback, the 2019 MINI Hardtop 4 Door quickly becomes expensive as you pile the attractive options. With that in mind, it's worth starting at the Signature trim with the three-cylinder turbo. Here, you'll get to enjoy a panoramic sunroof, keyless entry, and heated seats. If dynamics matter more than comfort, then an S in the Signature trim will work better. Be sure to include the John Cooper Works appearance package to include sharp styling. There are three trim choices for the 2019 MINI Hardtop 4 Door along with two engines. The Cooper gets a 1.5L three-cylinder while the S gets a 2.0L four-cylinder turbo engine. The 4 Door doesn't get access to the John Cooper Works standalone trim. Both engines use a six-speed manual or automatic transmission to drive the front wheels. After picking your engine, then you get to choose your trim: Classic, Signature, Iconic. Then you get to pick your personalization options and upgrades. The Cooper Classic models sit on 15-inch alloy wheels, wraps the steering wheel in leather, adds rear parking sensors, and enjoys automatic wipers and headlights. As far as technology is concerned, you'll get a rearview camera, a 6.5-inch central display, cruise control, and a six-speaker sound system that you can connect a USB device to. The Cooper S Classic looks the same but with larger wheels and checkered dash trim. Going up to the Cooper Signature adds onto the features from the Classic with auto climate control, a panoramic sunroof, and keyless entry. The Cooper S Signature gets auto high-beam control and a host of other safety features, along with access to the Premium package. The Cooper Iconic and Cooper S Iconic both get 18-inch wheels and the contents of the Premium package. Here, you'll also get a more prominent 8.8-inch screen, Apple CarPlay, and a navigation system. Plus, you get the full range of aesthetic options. There just isn't a downside to adding two more doors to a Mini Cooper. The extra length on the wheelbase improve the ride quality and makes the steering more precise on the road. The S engine not only adds more power than the default three-cylinder does, but it's a more refined, smoother engine. The MINI S can reach 60 miles per hour in 6.3 seconds, which is equal or better to its closest competition. With the optional six-speed automatic, you'll enjoy quick, smooth gear shifts without any sign of torque steer or turbo lag. On the brakes side, it takes 116 feet to come to a panic stop from 60 miles per hour, which is considered average. The MINI stays composed and leaves the driver in control, though heavy use does soften the pedal a bit. It also doesn't lurch as much on the S trim as it does in the base. The steering effort feels excellent and precise with no delay in response. The larger footprint of the 4 Door keeps the steering from feeling too sensitive compared to the smaller MINI. At the end of the day, it's a big win. The Cooper S comes with a tenacious grip that instills strong driver confidence. That naturally lends itself to more spirited driving, because it's fun to explore the full potential of the MINI. There's hardly any upset by hitting mid-corner bumps, either. Overall, the S comes with smooth power delivery and with none of the problematic nosedives that the base car has. It's as good on twisted roads as it is for completing daily errands. The auto stop-start system isn't the best, but you can disable it. 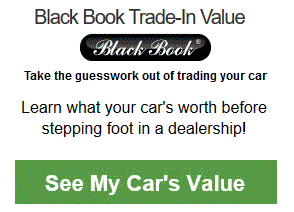 Example: Base MINI Hardtop invoice price + the dealer Invoice price of options + destination - Holdback = Total Dealer Cost. 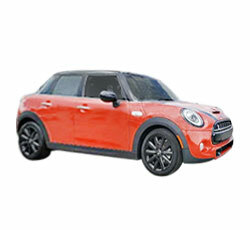 Note: All MINI Hardtop MSRP, invoice and dealer cost dollar figures above are approximate amounts. Prices are subject to change without notice.